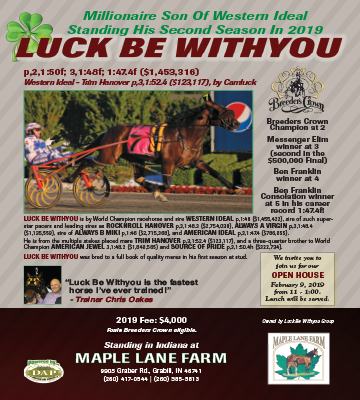 For those who missed out on the Hoosier Classic Yearling Sale, there will be a few chances to still pick up a yearling this fall. The Fall Speed Sale, which takes the place of the fall Jug Sale at Delaware, Ohio, will be held at the Champions Center Expo in Springfield, Ohio. The three-day sale began Tuesday, Nov. 13 and includes a few Indiana breds. 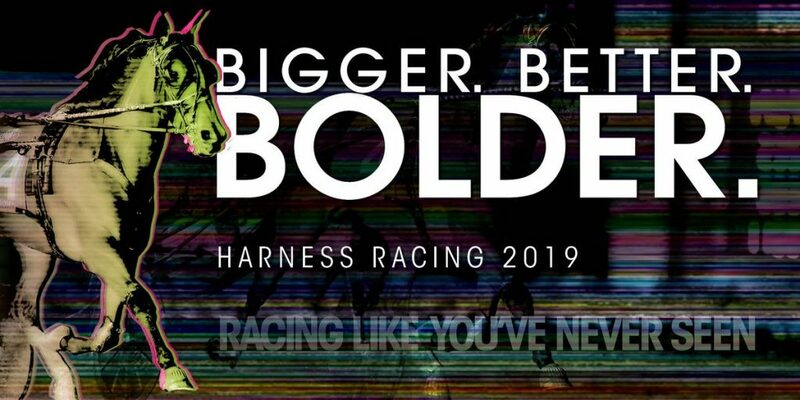 The Michiana Classic Yearling Sale, held at the Michiana Events Center, will be offered Saturday, Nov. 24 beginning at 9:30 a.m.
A total of 224 yearlings will be offered for sale at the Michiana Classic Yearling Sale, providing a wide range of both trotting and pacing prospects. One of the yearlings that will be offered is Captain Bennett, a colt by Riggins. 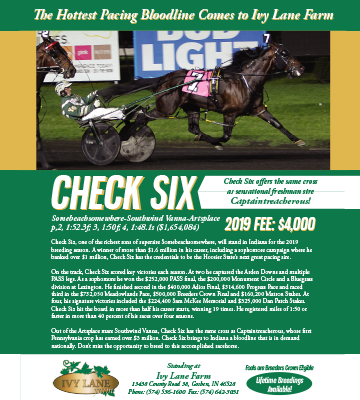 Consigned by JAK Standardbred Farm and Jeri Kieninger of Rochester, Ind., the colt was advertised in the October issue of the Indiana Standardbred Magazine. However, it incorrectly stated that he would sell at the Hoosier Classic Yearling Sale. The colt, slated as Hip No. 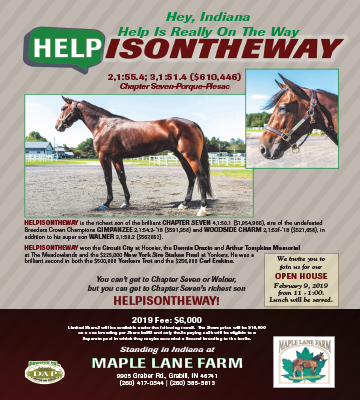 184, is broke and jogging and the Kieningers invite any and all interested parties to stop by and see Captain Bennett before sale day Saturday, Nov. 24. 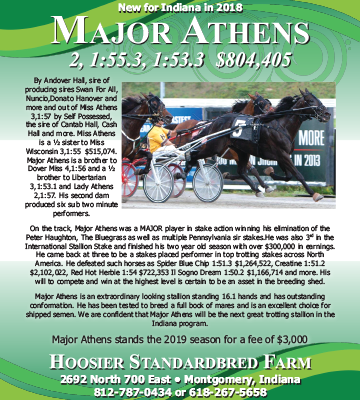 The Hoosier Classic Yearling Sale’s main website offers all online pedigrees as well as Trackit sale pedigree reports. Videos of the yearlings are also available through the Website. The day before the Michiana Classic Yearling Sale, the Midwest Mixed Sale will take place in the Michiana Event Center. A total of 147 hip numbers have been entered, ranging from racing stock to breeding stock. 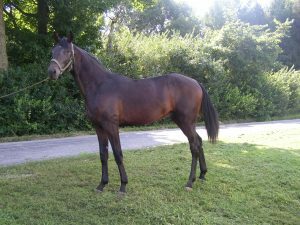 Pedigrees, race lines and TrackIt information are also available through their Website at midwestauctionco.com.